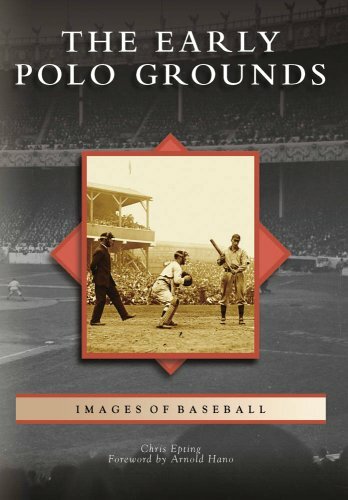 Amazon.com description: Product Description: The Polo Grounds is one of baseballâs most sacred ballparks. Built below Cooganâs Bluff in 1891, the bathtub-shaped stadium played host to iconic baseball moments, including Willie Maysâs famous catch in the 1954 World Series and Bobby Thomsonâs âshot heard âround the world.â The era before those moments holds a history all its own, when the New York Giants, Yankees, and the football Giants shared the park. The dawn of the 20th century through the 1920s is a rarely seen chapter in Polo Grounds history, and it is presented here for the first time in all of its photographic glory. About: The Polo Grounds is one of baseball’s most sacred ballparks.